“I recently, just for fun with me and my friends, I made my own list of the greatest films of all time, and believe it or not, this ranked No. 1.” —Tim Heidecker on his film The Comedy, Comedy Bang! Bang! “You don’t have a good time here, and the audience knows that.” —Tim Heidecker and Scott Aukerman, Comedy Bang! Bang! 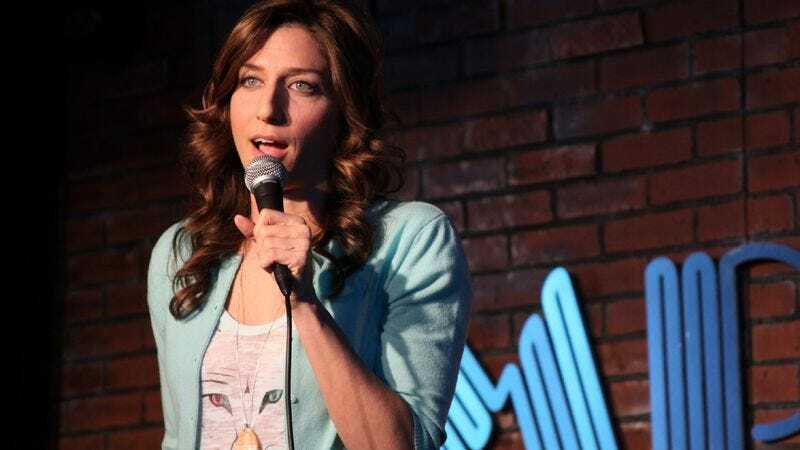 Even before launching her own podcast, Chelsea Peretti was already a prominent figure in the podcasting world. Peretti’s fierce personality engenders awe and fear in the hearts of podcasting buddies like Pete Holmes, who references her so frequently on You Made It Weird that she’s practically become the show’s mascot. (Fun fact: the podcast that became You Made It Weird was originally supposed to be hosted by Holmes and Peretti before Peretti pulled out.) Her new Call Chelsea Peretti podcast is custom-made to suit the comedian’s exquisitely snotty, mean-spirited persona; it’s less a conventional podcast than an irreverent parody of what a Chelsea Peretti podcast might entail. Stuff You Missed In History Class: What Really Happened In Salem?